When choosing a CPE provider you have many options. But not all options are equal. Accountants Education Group has been a leading provider of quality self-study continuing professional education for practicing CPAs and other accounting professionals for over 29 years. Managed by real CPAs with real world experience, Accountants Education Group places the highest priorities on you, the accounting professional, and your expectations and needs for your CPE. #1...The highest-rated sponsor approvals. Don't settle for a provider that does not take the steps to be approved by a national organization. AEG actively monitors state Boards’ rules and requirements and national standards in the area of continuing education requirements. This is the only way to ensure that its course offerings continue to meet and exceed all state and national requirements. As a leader in its field, Accountants Education Group was the first member to be approved by the National Registry of CPE Sponsors maintained by the National Association of State Boards of Accountancy (NASBA) in 1990. As of July, 2012 NASBA required all self-study sponsors to be reapproved as "QAS Self Study" to ensure the sponsor is in compliance with the revised Statement on Standards for Continuing Professional Education (CPE) Programs (2012). Today we’re proud of the fact that we were also the first national self-study provider to be conferred the new QAS Self Study status by NASBA. Rest assured that as members of NASBA’s Registry/QAS program, we are in compliance with national “best practice” standards and our courses will be accepted for credit in your state. Accountants Education Group also maintains direct sponsorships with states which have those requirements. View our link to your state to see our state sponsors and review any of your Board’s special requirements and/or restrictions regarding self-study continuing professional education. #2...Customer service that is focused on you. You'll have questions - we'll have answers. We believe your phone calls should be answered by a live person, not an automated menu. If you call our toll-free number during regular business hours, you will be greeted by a live, actual customer service representative that can answer your questions, help with problems, and offer the guidance you need. #3...Long-term commitment. 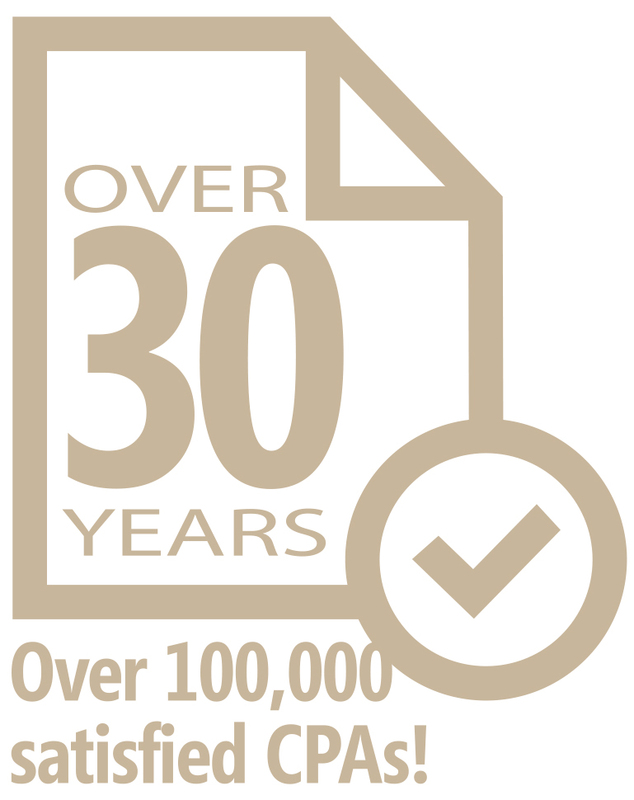 AEG is celebrating its 30th year of providing CPE to over 100,000 customers. Over the past few years there have been a number of new CPE providers come to the market. But being a CPE provider is more than just selling a course or two. A reliable CPE provider will be there for you two or three years after you complete the course, providing copies of completion certificates, verifying completion dates, and most importantly, providing proof to your state board of any CPE completed. Don't take a risk that when you need the CPE provider to come through, they have moved on to the next great idea. Any sponsor can teach you the latest tax law or accounting standard. Only Accountants Education Group can give you the security, support, and stability you need in a CPE provider.